whatever you submit is signed by the doctor who did the exam and includes the words "(fighter name) is cleared to participate in combative sports." If this is not included in the exams you submitted, it will not be accepted for licensing. The costs associated with getting licensed can vary. It all depends on whether or not you have insurance and the clinic you go to. • MN License Fee — $60 per year for amateurs; $100 per year for professionals (All licenses expire on December 31 of the year they were received). • Physical and Neurological Exam (Can be performed by same doctor in one visit) — $50-200 Speak to your local promoter or matchmaker for recommendations of doctors in your area. • Dilated Eye Exam — $50-100. • Blood Work — $70-89 (these prices are for Advanced Sports Labs and Request-A-Test, two organizations that work closely with regulatory bodies around the country. They have multiple testing locations and will generally have results sent to our office within 24 hours. Going to your local clinic could cost you more and the turnaround time is generally much longer. For more information you can visit www.requestatest.com or www.advancedsportslabs.com). 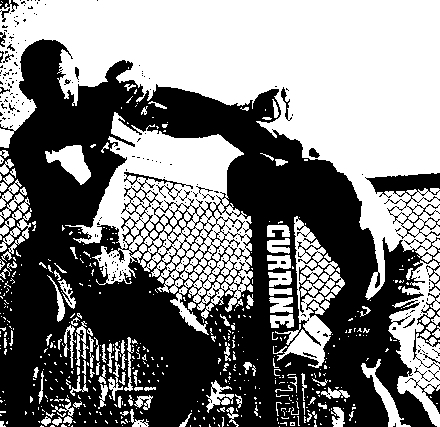 • National MMA ID — No cost. "I thought the process was all pretty easy. My trainer was sent the forms that I needed done and told me to register online, and I had my blood work already done from previous fights. Registering online was simple. All you had to do was fill out the information asked and then upload a photo. The medical exams were simple too, just a little time consuming. I would recommend having someone go with you to the eye exam because your vision is impaired for a while afterward. Once I had my medical forms filled out, my trainer just faxed them over. After all of that was done, all I needed to do was show up to weigh ins and do a simple physical performed by the medical staff." Not everyone will have such a smooth licensing experience, but being prepared and getting everything done ahead of time can definitely improve your experience and allow for any hiccups. Waiting until the last possible moment to get everything done not only creates a stressful experience for you, but can also cause you to lose a fight or have a negative impact on the promotion you are fighting for. "As a matchmaker, getting fighters licensed probably eats up 75-80 percent of my time leading up to an event. With so many requirements, and the financial commitments that come with those requirements, it's a beast to try to get anyone licensed. Some guys are on top of stuff. Those guys are a matchmaker's best friend. It's unfortunate, but the bulk of fighters in Minnesota aren't that way. So you're chasing guys around for weeks and weeks, reminding them to do each and every step. At some point, if a fighter doesn't make progress toward getting licensed, you have to throw in the towel. We won't risk a fighter not getting licensed too close to the show, at least not without them making some progress. Ideally, everyone who approached us for a fight would be licensed. But that's not reality. With our events, I start sending out messages usually six to seven weeks before the actual show, telling fighters they must get this done or that done. If a fighter ignores the warnings, I find out what's going on or just pull that fighter. It's not worth wasting more and more of my time, not to mention their potential opponent's time, if they're not capable of visiting the eye doctor or filling out a national ID form. "Do I think there is too much required and too much of a financial commitment for fighters to get licensed in Minnesota? Absolutely. There's no question. It shouldn't cost a kid upwards of $500 to step in the cage and find out if he enjoys MMA. But the bottom line is, that's the reality and that's where we live. It has to get done, and getting it done as soon as you contact a matchmaker will make your matchmaker very happy. Those are the guys we love to work with, the ones we get fights for all the time and we continue to work with." Making the decision to become a fighter is a tough one. You have to determine if it's something you're willing to put the time and effort into, or if it's just something on your bucket list. Regardless of your reasons for making that decision, once you do decide to become a fighter, and sign a contract to take your first fight, you have to be ready to commit to not only training, but also meeting all the requirements of being a regulated fighter. I can't guarantee it's going to be an easy process, but the sooner you get your licensing done, the more relaxed you will feel the week of the fight. While your opponent is being pressured to get their medicals done, you'll be in the gym putting the finishing touches on your game plan.